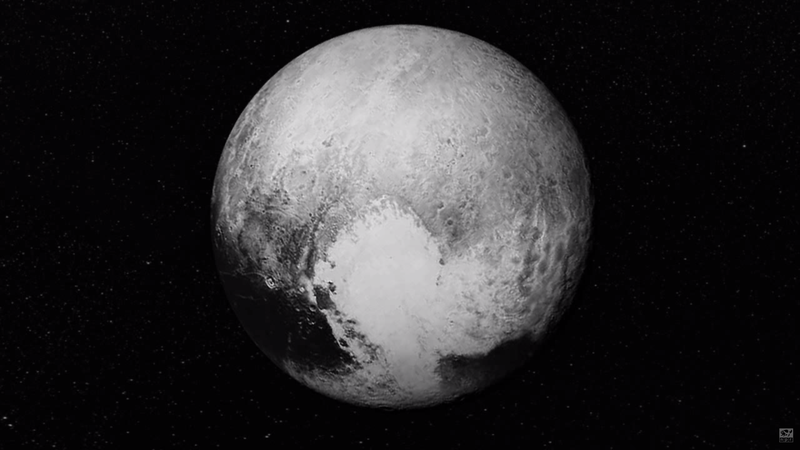 The New Horizons probe just came within spitting distance of Pluto. And while it’s still in data-gathering mode, we’re hoping to see the best-ever images of the frozen dwarf planet. But that doesn’t mean the probe hasn’t been gathering images the whole nine years it’s been flying. Here’s all of those images, all stitched together for one video. That camera has been busy for the past decade, snapping hundreds of photos of first Jupiter and then Pluto. Those images were stitched together to create this video. The words that accompany the video come from Ray Bradbury, who read his poem “If Only We Had Taller Been” at a celebration of a NASA mission to Mars in 1971. Ray Bradbury, for those who are forgetting, was a prolific science fiction author and also the subject of another NSFW video. It’s sort of amazing that we, as humans, pointed a rocket into space a scant nine years ago, and it travelled so far as to have the Sun appear as just another bright star in the sky.